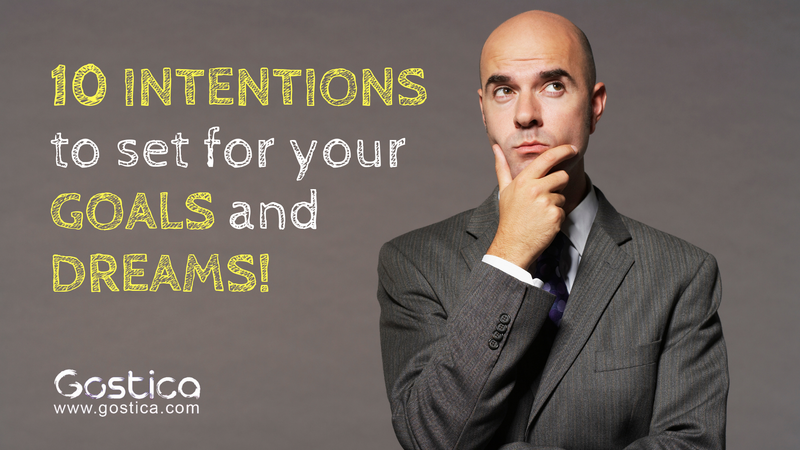 Intentions are the fuel to manifesting your goals and visions. An intention will help create more clarity in your life, especially when the seed is planted right before you start your meditation. Setting an intention is like drawing a map of where you wish to go — it becomes the driving force of your higher consciousness. Without an intention there is no map, and you’re just driving down a road with no destination in mind. That said, an intention cannot be forced. It’s a seed that you have to sow and then let reap on its own. You can’t set an intention that you don’t believe in. If it’s done forcefully, the purpose of the intention is ruined. I intend to respond first, and then react. I intend to witness Divinity in everyone. I intend to be open to success and abundance. I intend to forgive others, and myself. I intend to make meditation a more important part of my lifestyle. Your chosen intention should always be positive, uplifting, and always in the present tense. You want to refrain from using any negative words. 2. Make sure it can evolve. Our minds are very clever … when something new comes along, the mind is intrigued. But as time passes, the mind gets bored! Think about when you walk into a fragrant room — you can sense the smell immediately, but after a few minutes it’s not as potent. The same thing can happen with your intentions. If you stick with the same intention week after week, your mind will stop responding to it. The best way to resolve this is to make sure your intention or goal can easily be adjusted. If your intention on your first day is to invite peace and calm in, after few days you may change that intention to, “My intention is to enjoy the peace I create in myself.” Please be advised however, that you shouldn’t drastically alter your intentions or goals too frequently. The goal is polish and enhance. 3. Aim for the short term. It’s more practical to set an intention for the short term rather than the long term. You can still think of the big picture — just divide your long-term intention into few shorter ones instead. This will help you achieve a grandiose goal in shorter, more powerful segments. If your intention is to become more specialized in your profession, then first figure out the steps involved with advancing in your specific field. Your first step may be to get good grades on your prerequisite exams. Then, the next goal may be landing a lucrative internship, and so on. After successfully manifesting your short-term intentions, you will ultimately reach the actual goal that you had been nurturing in the first place. Then, once your intention is set, be sure to use it in your meditation. Start your meditation with a few deep breaths and observe the stillness within. Afterward, bring your awareness to your heart and set your intention. Observe the movement of your breath as you inhale and exhale. Continue to let go of all of your grudges and emotions. Watch your thoughts as they come and go, but don’t assign any value to them. Before you finish, take a few moments to be grateful for the intention you have set. Stick to the same intention for a few days before moving on to the next one. This was written by Chandresh Bhardwaj for MindBodyGreen.